From Goodreads: College life and crime detection are seen through the eyes of our student investigators. 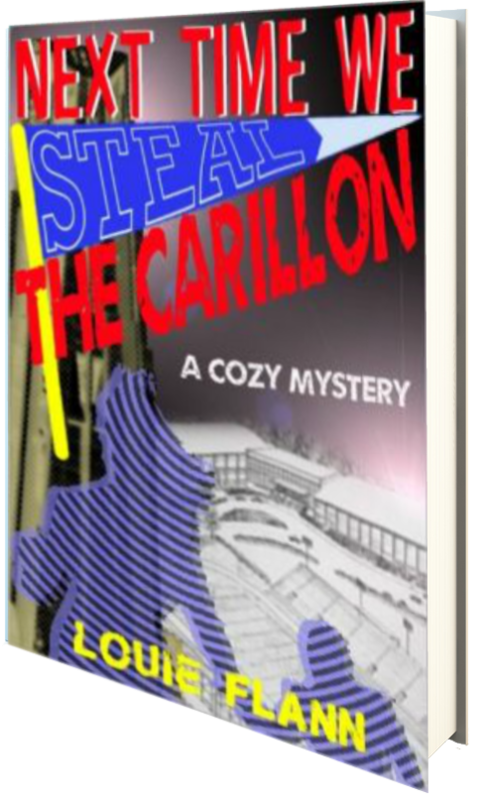 These contemporary temporary sleuths live through a cozy mystery set at a Midwestern college during the 1990s. Missing: a valuable antiquity. Suspicious occult occurrences, a séance, car troubles, another séance, injury in the forest, strange people not a part of the campus community are roaming the campus, pleasant fall weather, and, someone is following our Veronica. Is he some rejected suitor or someone harboring bad thoughts about our investigators? Holy smoke! What’s she going to do? What are they going to do? Will the ancient bowl return? Will our detectors find who done it? Are Veronica and Monica, who are cute as kittens, affecting the objectivity and efficiency of Ralphy and Jason? I can’t tell! Who won the game, and what happened at the dance? All these questions—and more—will be answered before you put this book down. This is a story about good kids with a devil of a job. This was an interesting whodunit type mystery dealing with college aged students, though it reads more as a YA or MG novel. It’s easy to understand prose and characters draw the reader in from the get go, and it’s definitely a fun ride. There are a bit more characters involved in this story than I’m used to, and so as a reader I had more people to try and keep track of, but overall Flann does a good job keeping the reader on track. I will say that I didn’t really connect with any of the characters due to the vast amount of them—they were spread a little thin in terms of characterization for me—but overall, they were likable and intriguing, spurred on by different motivations that cast them in different lighting as the novel progresses. While I found some of the events within the novel to be a little far-fetched, the premise was on point and I thought the search for the missing artifact to be actually quite enjoyable. From crazy sleuthing in the dead of night to false antics, the characters and events kept me on my toes as it all came to a head. This is a clean novel with a somewhat humorous take on the “whodunit” mystery, and if you’re in the mood for something a bit light, then I suggest taking this novel for a spin. Three and a half stars. I was given this novel by the author in exchange for an honest review.